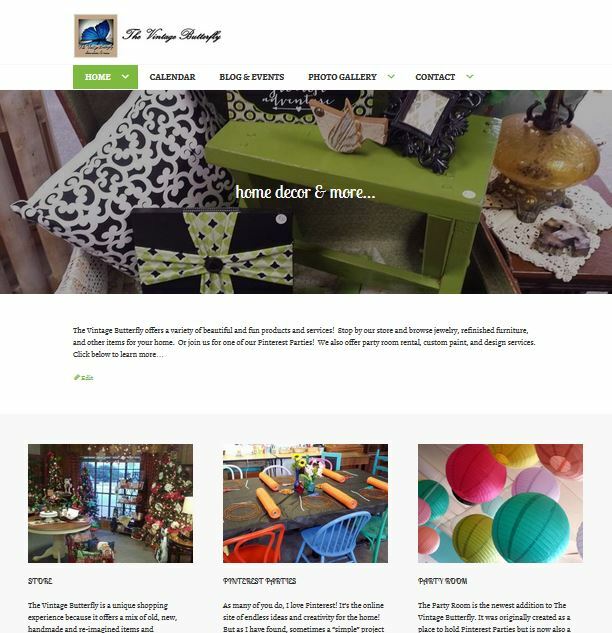 Some businesses naturally lend themselves to great images for a website. But others… can be a little tougher to figure out. For example, The Vintage Butterfly offers a huge variety of beautiful items for sale. In addition to this, they also restore furniture which makes for some great before-and-after pictures. The also rent out a festive and colorful party room, lead crafting parties, maintain a beautifully arranged sales floor… You get the idea: lots of stuff to photograph here. 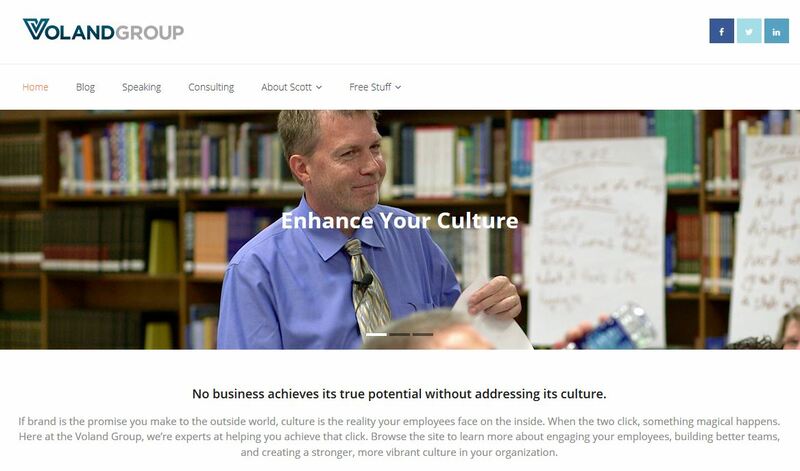 Another client, The Voland Group is an organization leadership consultant. 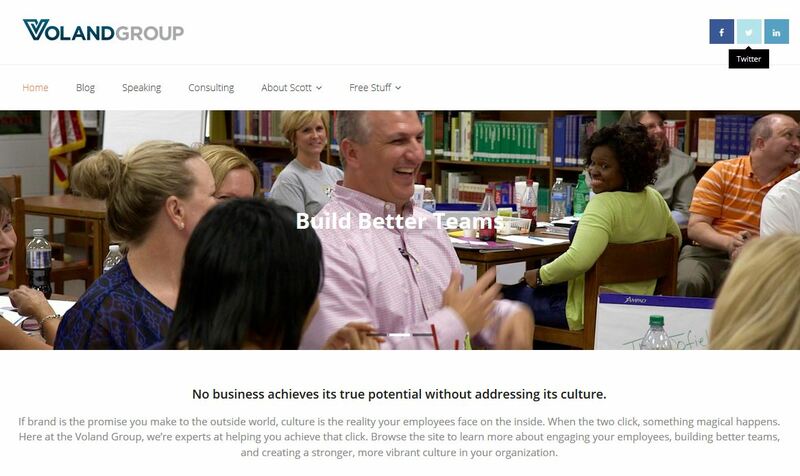 Scott does not sell a tangible product but instead does group presentations, leads workshops, presents webinars, etc. Scott had video of some of his presentations and workshops and was able to lift some wonderful still from these recordings. These image present a dynamic and engaging sense of what he does and how he interacts with a group. Below are some ideas to get you thinking about the types of image you may want to incorporate into your website design. Keep in mind that collecting the “right” images can take a while, especially if your business is seasonal. Having good ideas in mind will help you seize opportunities to capture great images that will speak to your customers. Sometimes an image can be used in unexpected ways through cropping or creative processing. Experiment with abstract photographs related to your business. When I work with a client, I will look at everything they have and make recommendations on what I think will work best. I also do some digital editing/processing to enhance photos where appropriate. I think original images are best (i.e., pictures of YOU and YOUR business), but if you’re interested in using stock photos, check out Pexels or Pixabay. They’re both free and offer images that can be used for both personal and commercial purposes!